Adam & Eve/DDB has promoted Ant Nelson and Mike Sutherland, the creatives behind the “Project 84” activity for male-suicide charity Campaign Against Living Miserably, to executive creative directors. Paul Billingsley, client services director, has been promoted to managing director, while Jemima Monies, head of new business and PR, has taken on the role of deputy managing director. Additionally, Fiona McArthur, the global managing partner who leads the international Mars account, is now group managing director. Carat has hired Lucy Ogilvie, Zenith’s digital transformation specialist, to be its chief strategy officer in the UK. Ogilvie is joining the Dentsu Aegis Network agency in December after nine years at Zenith, where she is currently managing partner, strategy and digital transformation. Mary Keane-Dawson, chief executive of blockchain media agency Truth, is stepping down after a year in charge. She will be replaced by Oliver Southgate, Truth’s chief technology officer who joined the agency at the beginning of this year. Jaguar Land Rover‘s global head of advertising, Ian Armstrong, has left the company after a restructure. JLR announced a major restructure in May, with global communications director Fiona Pargeter promoted to the new role of customer experience director, adding marketing communications, experiential marketing and customer insight to her previous PR remit. He leaves without a job to go to. MPC London has appointed Walter Campbell as creative head of business development. Campbell’s creative credits include Guinness “Surfers” while at Abbott Mead Vickers BBDO. He co-founded Campbell Doyle Dye, which was later renamed Shop, and has since worked at Anomaly and TBWA\London as a creative director. Wunderman has recruited Lisa Campana as director of design. Campana moves from online design business Moo, where she was head of design, and has also previously worked at on-demand service Blinkbox as a creative lead. WRG, a division of The Creative Engagement Group, has hired two account directors: Simon Bull and Leanne Attridge. Bull joins from Q2Q Communications, where he was a senior event manager and account manager. Attridge was intelligent mobility communications section manager for consumer communications at Nissan Europe. 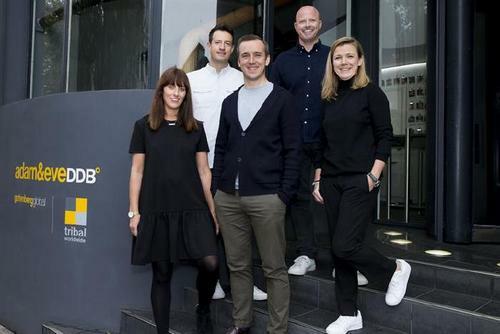 Marketing agency Station Rd has appointed Mike Palmer as head of creative. Palmer brings with him over ten years’ experience working with a range of national and international brands including Mr Tom, NHS Wales, GoCompare and Sport Wales. Previous Article Who will win Activation at a Festival or Public Event at the Campaign Event Awards?